Sixteen states, including California, New York and Michigan, sued President Donald Trump on Monday to halt his controversial emergency declaration to open up funding for a border wall. The lawsuit, filed in the U.S. District Court for the Northern District of California late Monday, named the states of California, Colorado, Connecticut, Delaware, Hawaii, Illinois, Maine, Maryland, Michigan, Minnesota, Nevada, New Jersey, New Mexico, New York, Oregon and Virginia as plaintiffs. 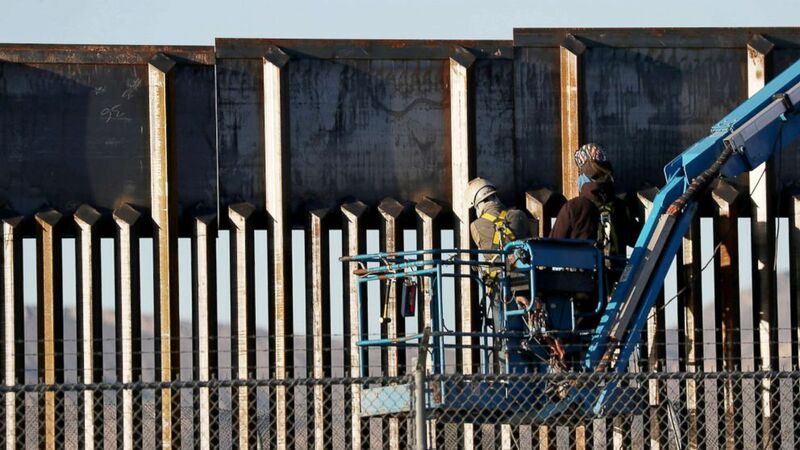 It seeks to block what it called the Trump Administration's "unauthorized construction of the border wall, and any illegal diversion of Congressionally appropriated funds." "Today, on Presidents Day, we take President Trump to court to block his misuse of presidential power. We're suing President Trump to stop him from unilaterally robbing taxpayer funds lawfully set aside by Congress for the people of our states," California Attorney General Xavier Becerra said in a statement. "For most of us, the Office of the Presidency is not a place for theatre." California Gov. Gavin Newsom was one of the first to speak out against the administration's decision last Friday when the president declared a national emergency to secure an additional $6.7 billion to build a wall at the country's southern border. He accused Trump of "manufacturing a crisis" and declaring a made-up national emergency at the U.S. Mexico border in an effort to order to "seize power and undermine the Constitution." "This 'emergency' is a national disgrace. Rather than focusing on fighting the real vulnerabilities facing Americans, the President is using the powers of America's highest office to fan the flames of nativism and xenophobia," Newsom said Monday. "Our message to the White House is clear: California will not be part of this political theater. We will see you in court." The White House did not immediately respond to ABC News' request for comment. Trump announced plans to declare a national emergency at the border last Friday when congressional Democrats refused to appropriate funding for the border wall's construction. He referred to the situation as a national security and humanitarian crisis, but he also acknowledged possible legal challenges to the declaration, which would allow him to construct the wall without congressional support. "I am going to be signing a national emergency," Trump said. "I could do the wall over a longer period of time. I didn't need to do this, but I'd rather do it much faster." "And the only reason we're up here talking about this is because of the election, because they want to try and win an election which it looks like they're not going to be able to do, and this is one of the ways where they think they can possibly win -- is by obstruction and a lot of other nonsense -- and I think that I just want to get it done faster that's all," he added. The announcement came on the heels of a 35-day government shutdown -- the longest in U.S. history -- and after three weeks of negotiations by a bipartisan group on Capitol Hill that delivered a spending bill without all the money appropriated for the border wall that the president wanted. Trump is seeking a total of about $8 billion through a mix of congressional funding, executive action and the emergency declaration. A senior White House official, familiar with the plan to get money beyond the congressional funding, told ABC News $1.375 billion would come from the spending bill Congress passed Thursday; $600 million would come from the Treasury Department's drug forfeiture fund; $2.5 billion would come from the Pentagon's drug interdiction program; and through an emergency declaration: $3.5 billion from the Pentagon's military construction budget. ABC News' Cheyenne Haslett and Joshua Hoyos contributed to this report.